They say March comes in like a lion and goes out like a lamb, so what better time to start thinking about Spiking the Lemonade for the tastiest - Hurry Up Spring - Cocktails. Blueberry Lemonade Blast 2 oz Voodoo Tiki Platinum Tequila 1 oz Fresh Lemon Juice 1/2 oz Agave Nectar 8-10 Fresh Blueberries 1/4 Lemon Wedge Muddle the blueberries and lemon wedge in a highball or rocks... more. 0 CommentsPosted by JohnnyTiki on February 23, 2012 under Spotted! As I swirl my glass I’m seeing gorgeous thick legs that are slow to form and slow to tear. There is a wonderfully sweet nose to this tequila, with hints of vanilla and wood. Mixed in to it all are very clear herb and citrus aromas with a mild agave aroma that is always present. Read the Full Post Here Christmas comes but once a year, well in December of last year it came twice for me. I re... more. I just found out this morning that today is National Margarita Day. 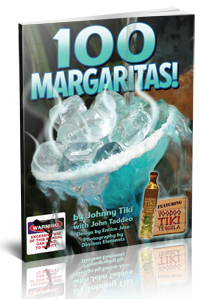 Not sure who put this day on Ash Wednesday, the day after Fat Tuesday, which created all kinds of problems for some people (from religious to hangovers), but it is what it is, so here are some cool Margarita drink recipes taken from “100 Margaritas” by Johnny Tiki with John Taddeo, available as a free PDF download from Voodoo ... more. Love Potion #9 Take your troubles down to Madame Ruth, or you can "Mix it up right here in the sink" yourself. Cosmo fans will love the simplicity, and balanced flavor - not too tart and not too sweet. 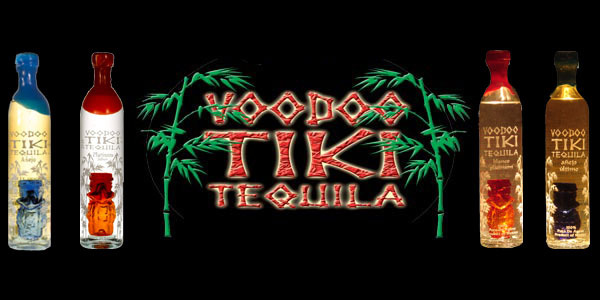 This recipe allows fragrant and agave rich Voodoo Tiki Tequila Platinum Tequila to shine while the sugars, bitters and tart flavors merge to create a very easy to drink and tasty Valentine's ... more. 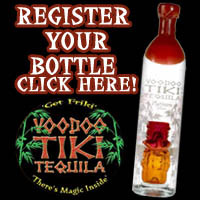 Freehold,NJ --- 01/25/2012 -- Voodoo Tiki Tequila, the company known for ultra-premium , 100% blue agave traditional & infused tequilas in hand blown glass bottles, has partnered with Shore Point Distributing Co., one of New Jersey’s premier beer, wine and spirits wholesalers since 1933. Shore Point distributes its world class line up of brands to 8 counties and over 2,100 accounts. Chris M... more.